If Paul was negligent to preach a part of the Gospel could he declare: "I have not shunned to declare unto you all the counsel of God" (Acts 20:27). 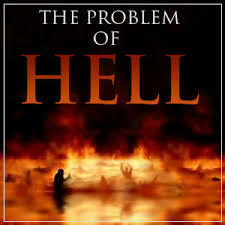 Red Alert...Why is Paul 100% silent on the word "HELL" and 100% silent on teaching about hell in all of his epistles? Is the Hell gospel the Gospel of Christ? "Hey Mr. Sinner, want to come out to church tonight to hear the true Gospel of God's Grace and Love." "Do you believe that God loves me?" "OK, I would like to hear how I am loved by your God of love. God knows I need love." Below are excerpts of the sermon the "sinner" heard. 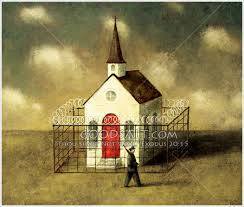 WELCOME TO THE PRISON HOUSE OF RELIGION. 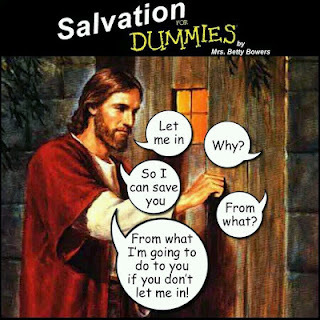 Even though religious denominations claim to recruit people to be followers of Christ...in actual fact, they do not...Religious denominations recruit people to be followers of religious denominations...imprisoning people by man's ideologies, man-made doctrines, man-made constitutions and man-made bylaws! Eternal Suffering is it Biblical? 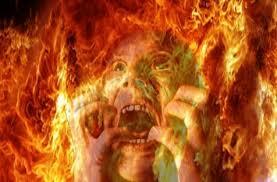 The concept of endless suffering forever and forever in the torture chamber of hell fire is not a product the Old Testament nor a product of the teachings of Jesus or the writers of the New Testament. Yet Religion teaches such a diabolical distortion of the words translated as "hell" by depraved minds who promote such an atrocity as the Gospel of Christ As the following quotes reveal. 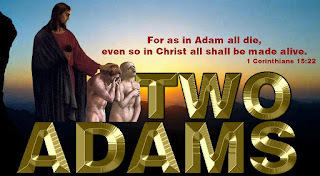 Why do religious people believe without reservation that two naked fallible human beings in a Garden ate of the forbidden fruit...that resulted in ALL of humanity being made sinners? Yet, Jesus..."The God Man"...comes to earth to save the people of the world, was crucified, died, and rose again...but the outcome of being reconciled to God does not apply to ALL people...and because I dare claim Jesus really was 100% successful in His mission to reconcile ALL people of the world to God through His finished work on the cross...some religionists call me an apostate and a heretic traveling the slippery slope that leads to the sinner torture chamber in the fires hell. The Community of the Redeemed that Jesus is building...places emphasis on quality and relationship. Jesus Himself stressed that "narrow is the way and few there be that find it." We have one instance recorded in scripture where Jesus used a whip to drive religious people out of a building because they were using God as a means to meet their own selfish desires. 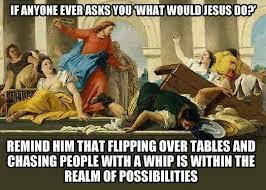 I wonder if Jesus came in His humanity once again, would He take a whip to people in denominated buildings because of the deceptive actions that are taking place as His Gospel?